Spanish was the language of my grandmother’s heart. It’s what tumbled out when she was excited or angry at my grandfather or sad. When she couldn’t think of a way to explain something to me, she would try it out in Spanish first, then translate. I could always get the gist of what she and my other family members were talking about, but not word for word, and I certainly couldn’t dialogue with them. Each day at school, I could never understand why the other girls hated me so much. My surname was every bit as Spanish as theirs, and I had just danced mariachi at a prima’s quinceñera, or made tortillas and biscochitos next to my grandma with masa made from real manteca de cerdo. I went with her on Saturdays to the San Antonio Mission and she would pray over me in Spanish, bless me with holy water, and place a wafer on my tongue. She was my priestess. And while I couldn’t speak their language, I understood the names they called me: gueda, coyote. They laughed and walked away as I stood there, not knowing what I did to deserve their disgust. I looked white. I was half and half. I was other. Everything that was important to me lived in the house next door – my grandma – and everyone in the community loved her. But my skin was light, I was tall, my hair fair. Everyone told me I looked just like my Dad who is Hispanic, but apparently not in the way that mattered. Most importantly, I wasn’t Catholic. How I wished to wake up every day with brown skin and long, thick black hair – to fit in. When I left New Mexico, I tried to give up that identity, that otherness. I tried to hide behind my light skin and assimilate into the mainstream. But no matter where I went, I never really fit in. I held on too strongly to the superstitions and magic of all she had taught me. Recently, I took up learning Spanish again, and it has come back like a flood. I adore the flow and the movement of the language, how it holds so many words to express the things that are important to me: love and friendship and knowing. I’m learning it in a conversational way, and with each day that passes, I feel closer to my grandma, gone these 10 years. And in many ways, learning Spanish makes me feel further away from her than ever. I know now that I never really understood her, because she couldn’t tell me how she felt in the language of her heart. She tried to share it with me in English, but it was stilted and many of the words came out in the wrong order, especially when she got upset. I want her back, so she can explain to me how she felt when she lost her son, and how she managed to live on. I want her to explain how much she loves me, because now I think I would understand. 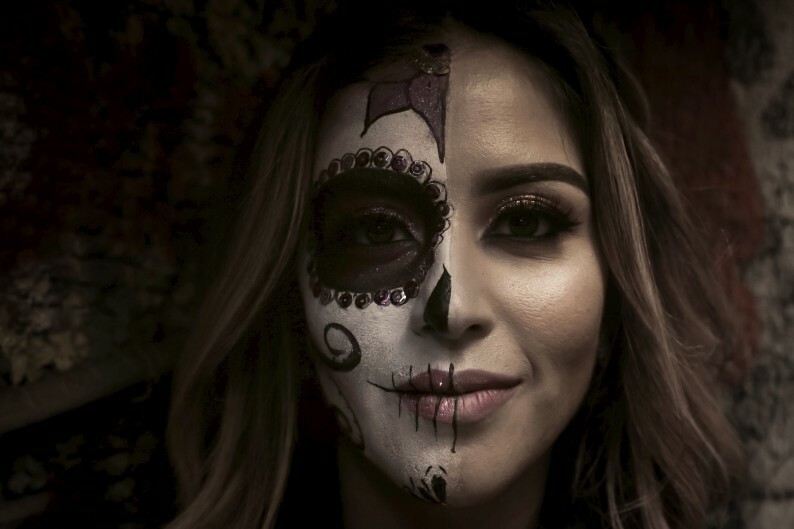 By embracing Spanish, I am not only embracing the memory of my grandmother who I hold close to my heart like a precious jewel, but I am also embracing my ethnic identity as a Latina. I never felt qualified to use that word: Latina. I didn’t think I was Latina enough. But now I’m beginning to understand that my otherness is what makes me unique. It’s the legacy she gave me by accepting me exactly as I was, by instilling in me the culture I loved and the framework of the language that took me decades to embrace. I have nothing to prove, only something to learn. I am stepping into a skin that has been waiting for me. I can’t tell you how I love this! I can’t tell you how much I love that you loved her, how much I loved her…at least before, and more importantly…after… I can’t tell you how much I…wanted those same things…the dark hair, the dark skin, the language to make ME part of THEM as I felt as if I were the “other”, just in the opposite way… You ARE Latina my love! Just like your Abuelita, like your Dad… Be proud! Stand tall! Speak loud and strong and let no one ever again silence your beautiful soul!